China will encourage its enterprises to deeply participate in Laos' economic development based on market principles, Chinese Premier Li Keqiang said Wednesday in Boao, Hainan Province. Li made the remarks during his meeting with Lao Prime Minister Thongloun Sisoulith, who is attending the Boao Forum for Asia annual conference. 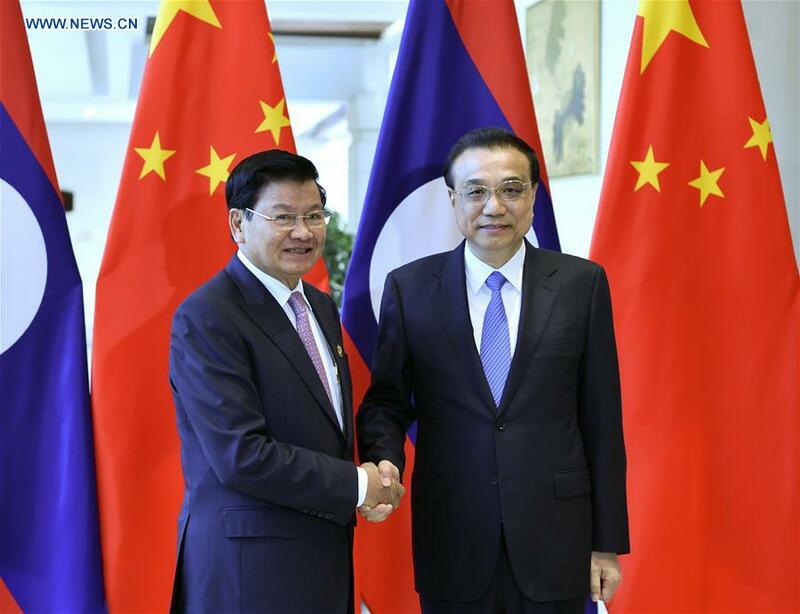 China and Laos have a particularly close relationship, which is showing a good momentum of development and has led to fruitful pragmatic cooperation, said Li. Noting that this year marks the 10th anniversary of the establishment of the comprehensive strategic partnership of cooperation between the two countries, Li said China is willing to work with Laos to carry out closer high-level exchanges, strengthen experience exchanges in state governance and concentrate on building a community with a shared future of strategic significance between the two countries. 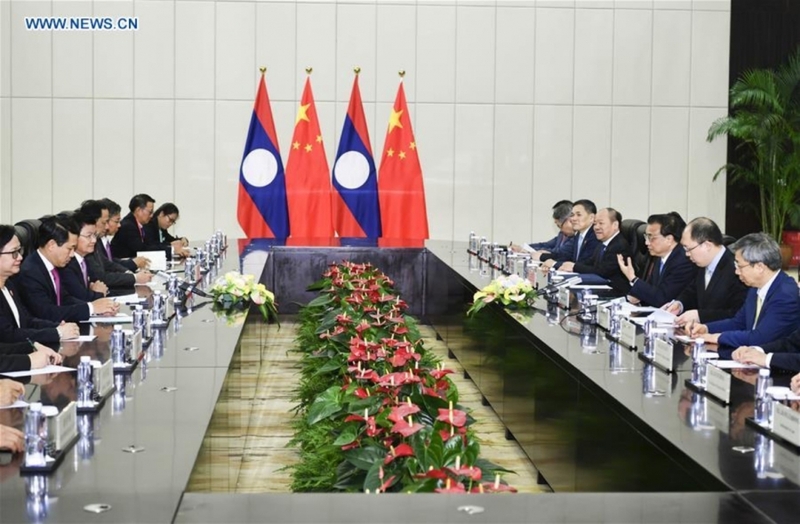 Li said China is willing to better dovetail the Belt and Road Initiative with Laos' development strategies, hasten the completion of cooperation documents on the China-Laos Economic Corridor, and ensure the construction of the China-Laos Railway will be finished on time and with good quality. Thongloun said Laos and China are a community with a shared future sharing weal and woe. He said Bounnhang Vorachith, general secretary of the Lao People's Revolutionary Party Central Committee and president of Laos will visit China next month and attend the second Belt and Road Forum for International Cooperation. The Lao side is willing to push forward the construction of the economic corridor and the Laos-China Railway to better benefit both people, he said.